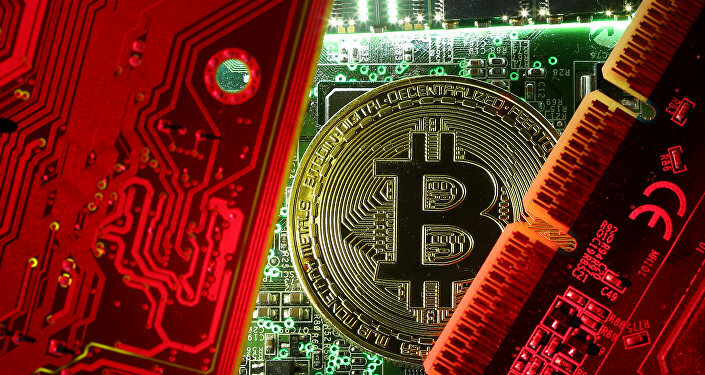 Speaking to Sputnik, Mark O'Byrne, Founder and Research director of Goldcore.com, outlined his views on the trends on the cryptocurrency markets as Bitcoin continued to lose value, dropping 18 percent in the early hours of Tuesday morning. Sputnik: Can you briefly describe the reasons behind the latest price fall in Bitcoin? Is it likely to continue over the upcoming days and weeks? O'Byrne: I think the nervousness that has come into the cryptocurrency market over the last 2 or 3 weeks has had an effect. There’s a lot of hot money, speculative money, flowing into Bitcoin leading to the massive price appreciation that we saw. A lot of these ‘investors’ were purely about price speculation and making a ‘quick buck’. The trend was higher and they kept piling in, but now the trend has changed and moving lower which is making people a lot more nervous. These things feed off momentum which can be a powerful thing, both on the upside, but also on the downside. As a result of this, we’re seeing Bitcoin down as much as 14% from the near record highs of $20,000. In terms of how low will it go, no one knows. However, there is a thing in the markets whereby we frequently see 50% retracements when you get a very sharp price fixation over a period of time, leading to a 50% correction. This would suggest that you could see Bitcoin drop to $10,000 before you see support coming in. Sputnik: South Korea's government has announced proposals for a shutdown of all cryptocurrencies. As well as this Brazil, China and India are also looking likely to follow suit. What effect will crackdowns, similar to the ones proposed here, have on Bitcoin and cryptocurrencies as a whole? O'Byrne: The wider cryptocurrency market and most other cryptocurrencies are pretty much worthless. There is no real value there with them. With Bitcoin, there is some value there with that particular currency, with the finite nature of the currency and how it mimics gold. I think the market will be more robust but I think many of these cryptocurrencies, 90 to 95% will drop to zero. The regulators and central banks are looking into this and you mentioned some there such as the Chinese government, but I think ultimately they will essentially live and die by what the large western regulators such as the US, the EU and the UK and what they do and how they treat cryptocurrencies. Bitcoin will likely become a bit more robust than a lot of the other ones. It’s interesting at the weekend, the Kraken exchange – one of the largest cryptocurrency exchanges was down for over 48 hours. This is quite a respected cryptocurrency exchange where people couldn’t buy or sell. I think cases like this potentially contribute to the jitters that exist. We’ve seen a lot the high profiled exchanges go down over the years and I think this highlights the risks in the cryptocurrency space. Sputnik: Reports are developing that individuals are selling Bitcoin and buying more traditional commodities such as Gold and Silver… As Bitcoin becomes labeled more as a fragile bubble, could we see a potential resurgence in the buying of Gold and Silver? O'Byrne: I think so. We’ve seen it in recent days, people making massive profits in Bitcoin and Ripple and even guys making small profits in recent weeks and months, I think they realize that the price reflation was very unsustainable and they got nervous about deciding it was a good time to sell and take some profits. We have clients that have diversified into gold and silver, selling a very overvalued asset and put it into a very undervalued asset as gold silver being very depressed from where they were compared to four or five years ago. We think there is a definitely a trend there and we think that trend is very likely to continue given the overvaluation of one asset and the undervaluation of the other asset. There are people in the cryptocurrency industry have been trying to position cryptocurrencies as alternatives to gold or digital gold and I think increasingly people are realizing that these digital assets have much higher risk levels than traditional assets such as gold and silver. The views and opinions expressed by Mark O'Byrne do not necessarily reflect those of Sputnik.